In the wild view of the Golan Heights there is the tourist center "Northern landscape". 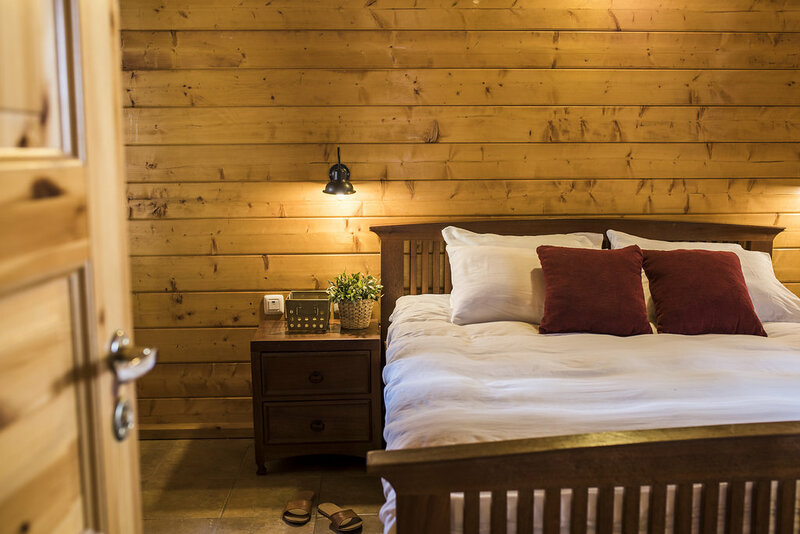 Holiday accommodation complex offers luxurious and romantic, european style wooden huts, embedded in a pine forest for couples, next to entertainment for families and groups and rustic accommodation. 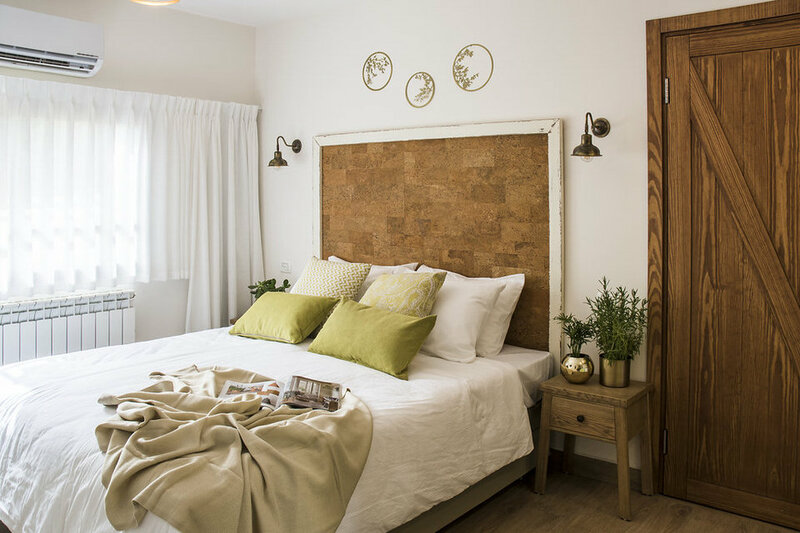 To complete the experience, Kibbutz Ortal offers you a Therapeutic Touch treatment room designed in a special atmosphere, rest and relaxation for body and soul. For our guests and visitors we highly recommend to visit the Ortal winery that invites you to tour the winery and the vineyards of the kibbutz, wine tastings, workshops on the subject of wine, and fascinating lectures on various subjects. A short drive away you can walk tour routes and attractions, Mount Hermon, river Jilabun, Saar River, Nimrod Fortress, River Crows and more ... Free WIFI Internet connection in the tourist site. Importantly - Bring warm clothing in all seasons! The cabins 'La-Bikta'10 luxurious cabins, planted in pine trees. The size of each cabin is about 40 square meters and consists of two rooms - a double bedroom with a luxurious bed and LCD with satellite TV and a living room with a sofa bed that can be pulled to a bed and a half.In the cabin there is a fireplace, used for heating in the romantic winter months, kitchenette fitted neatly with a coffee maker, microwave, Refrigerator, Coffee and dinnerwere (not including cooking facilities) and of course a large circular and luxurious Jacuzzi along with a variety of treats. the cabins are air-conditioned and each cabin has a large private balcony with seating area. Comfort' Rooms28 "Comfort" rooms are new and upgraded, decorated with holiday and wine atmosphere. 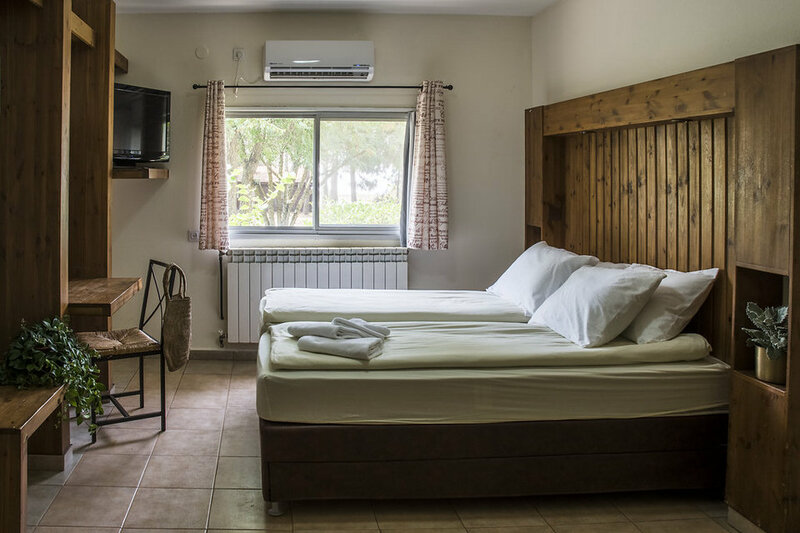 The size of each room is 16 meters square and has 2 parents beds joind together, a pull-out bed, a large LCD screen with satellite TV, a kitchenette equipped with a coffee area, microwave, refrigerator and microware (not including cooking facilities), shower and toilet. The rooms are air-conditioned and suitable for a couple and 2 children max. in most rooms "vineyard" there is a connecting door between the two rooms which can be booked as a family unit for a couple and 4 children. 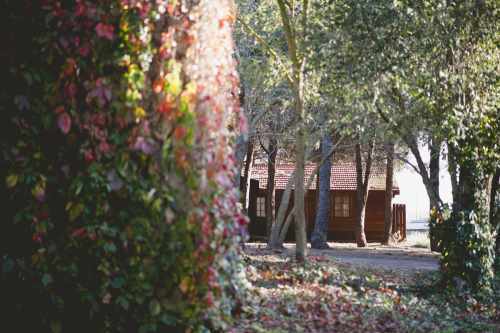 The rooms are built in a compound that in the center has large square with picnic tables, lighting and chairs and barbecue stands nearby.